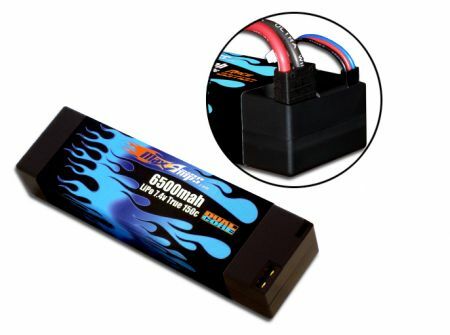 New "internal plug" option for our popular Race Edition 6500 7.4v 150c battery pack. This pack offers the best of both worlds. You get the lower resistance and higher performance of a single connection between the speed control and the battery along with the clean look of built in connectors. Unlike packs with bullet style connectors, there is no chance of reversing polarity since both the balancing tap and Compatible Female Connector for Traxxas vehicles are keyed. This pack is specifically designed for vehicles with longer battery trays like the Traxxas Slash 4x4. The balancing tap is also built into the pack and offers a very clean look, both inside and outside your vehicle. 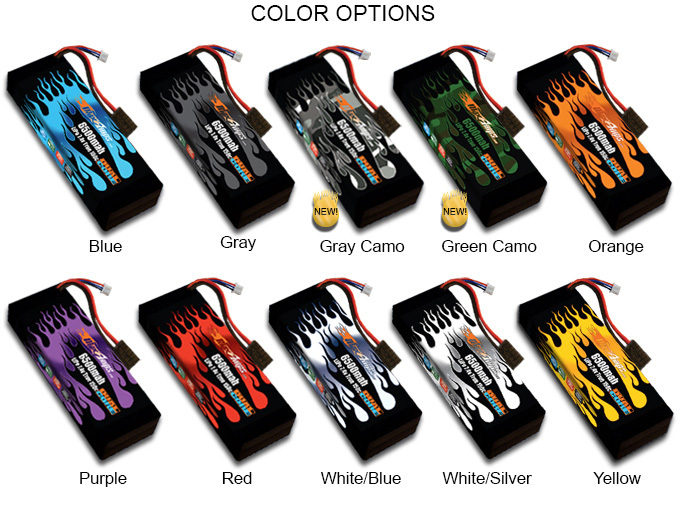 This LiPo pack offers a true 150c discharge rating and a 5c charge rating. All MaxAmps.com packs are built to order in Spokane, WA with grade-A cells and come with a lifetime warranty. Note: Allow 1 week lead time for this custom built pack. Very happy with this battery in my street slash. Internal plug cleans things up a bit. Battery fills slot on chassi perfect. We need a 3s version Max amps! I have 6500mah battery with the "NEW" internal plug, and "I LIKE IT"!!! It eliminates a lot of the wiring. It's really cool. Yes, I will get more.